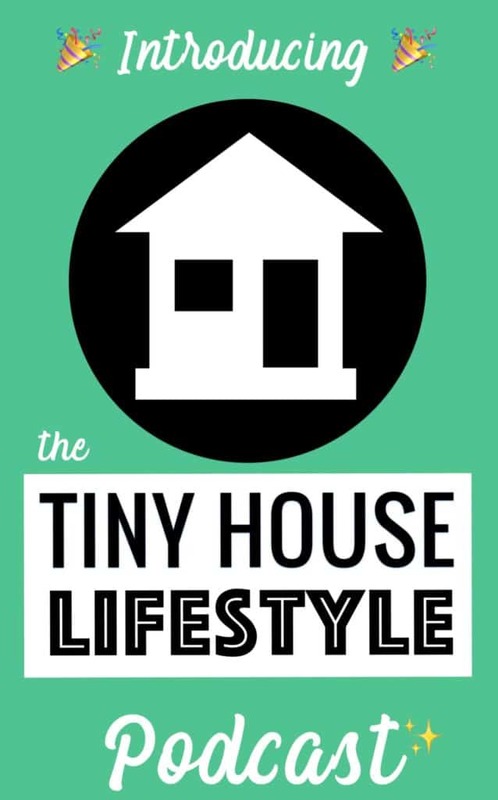 Note from Ethan: This is a guest post about tiny house plants, by my brother Jesse, who works for a really cool plant nursery in Portland, OR. 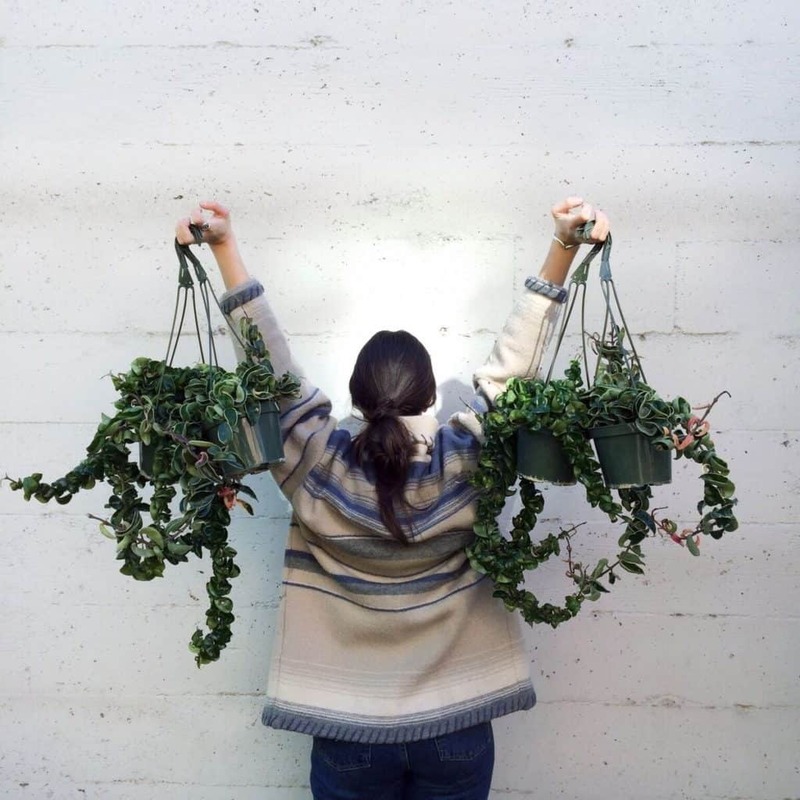 Houseplants are having their moment. Perhaps it’s because people want to bring a little bit of the outdoors in. Or, maybe it’s because plants have been shown to improve air quality, reduce stress and make you more productive. Or perhaps it’s because urban jungles are rad, and the design world has finally caught on. Whatever the reason for the houseplant renaissance, just because you have a tiny house doesn’t mean you should have to miss out on all the indoor greenery goodness. 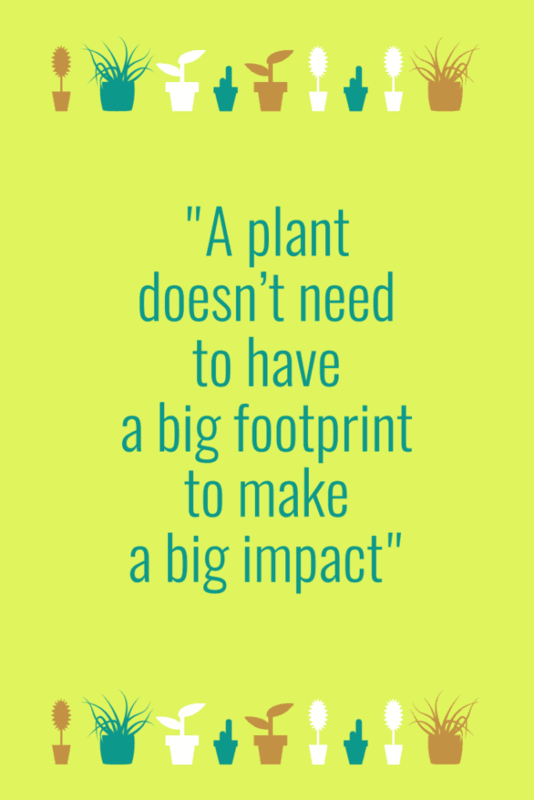 We’re obsessed with all plant life from massive to tiny, and know well that a plant doesn’t need to have a big footprint to make a big impact. 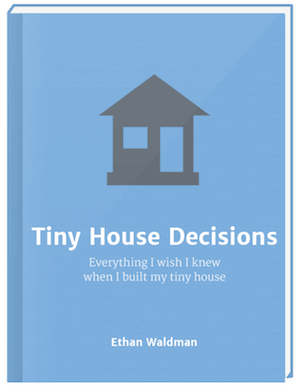 So when Ethan asked us for a few house plant ideas specifically suited for tiny houses, of course we were thrilled. In a small living situation, every square inch of space matters. Forget your floor plants! 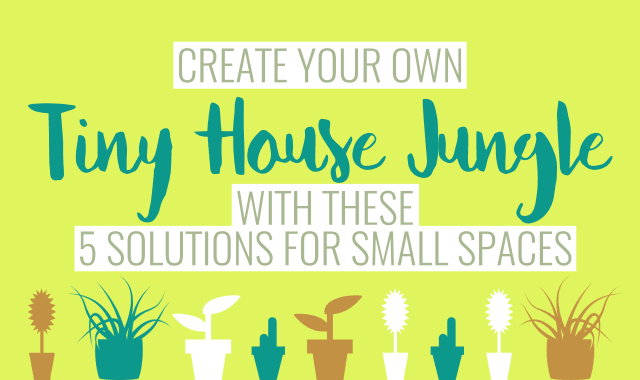 You can create your own tiny house jungle with these small space plant solutions that look amazing without taking up too much real estate. What is it? Marimo Moss Balls never fail to fascinate those seeing them for the first time. These miniature balls of aquatic algae are bright green in color and spherical in shape, growing at a snail’s pace of 5mm per year. Why it’s perfect for a tiny house: These plants are truly tiny, and totally versatile. Slip one or two in a glass vase and set on a shelf or window-sill to add a little pop of green. Much folklore surround these mystical little aquatics, which proffer good luck and everlasting love. Care: It doesn’t get much easier than this. Just change the water about every two weeks and keep your marimo out of direct sun to keep them bright green. 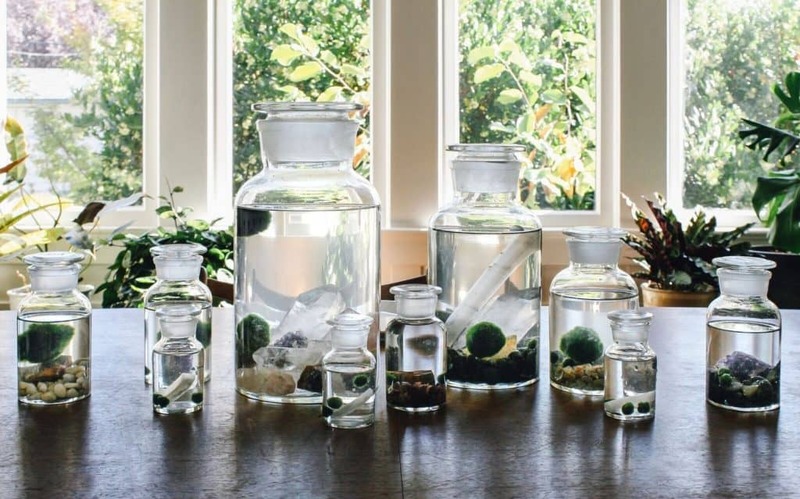 Where to find it: Many local pet stores sell marimo balls in their aquatic plants section, in a variety of sizes. For a complete kit, we have a variety of different options in glass vessels of varying shapes and sizes, and you can choose from pebbles or crystals as substrate, depending on your aesthetic. What is it? 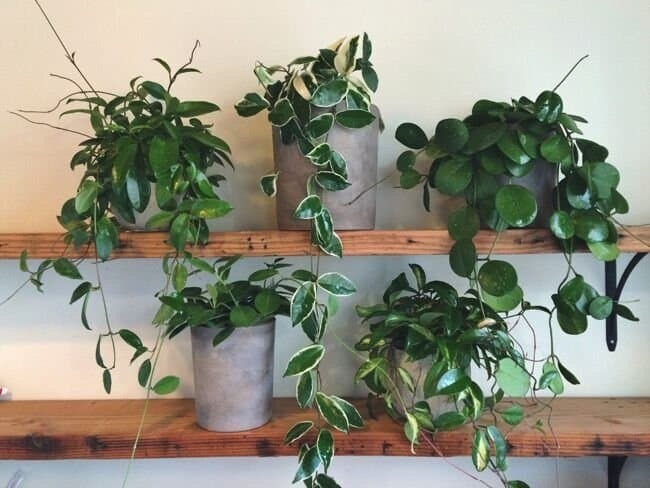 Try Philodendron ‘cordatum,’ Pothos ‘brasil’ or Satin pothos for a lush, vining jungle feel, or semi-succulent hoya species for brighter spaces. Why it’s perfect for a tiny house: Some plants grow up. Others grow down. Take advantage of gravity, and add a vining tropical plant to a shelf, or on the edge of your loft to use otherwise unoccupied air-space. Over time, these vines will grow long and sturdy, cascading down the wall. You can train them along window-frames and ledges, or simply let them hang down in front of a window to use up space that would otherwise be empty. Or, set on the edge of your loft and allow the hanging vines to create a natural partition and added privacy. If you want to really fill in space, try placing the philodendron’s big brother, Monstera deliciosa, at the edge of your loft. This vine is sturdy enough to hold itself up and will grow outward into your space. Though the plant will get huge, it doesn’t mind being root bound so can stay in a relatively small pot. Care: Philodendron, Monstera and pothos species are some of the most easy-to-care-for tropical plants. Just place them in medium to bright indirect light, water about every 1-2 weeks, and keep the temperature above 50. They’ll grow. Fast. Hoyas prefer bright, indirect light and don’t need to be watered quite as much. Plus, they flower! Where to find it: Fortunately, these plants are quite common! Any local nursery that has a decent selection of indoor plants should be able to hook you up. What is it? Staghorn ferns are epiphytic plants, meaning that in their natural environs, they grow on other trees, rather than in soil. They have long antler-shaped fronds and are perfect for mounting on wooden boards, easy to hang in even a tiny patch of exposed wall space. Why it’s perfect for a tiny house: Because they don’t require much soil or root space to grow, these plants are already used to growing in tiny places! 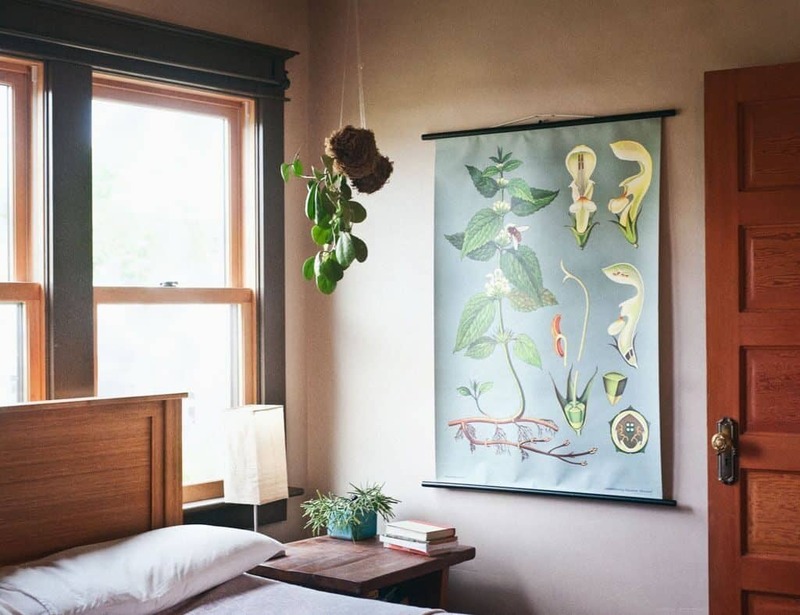 Since they can hang on a wall, you don’t have to worry about losing precious floor space – high or low in your tiny home, these plants will add a dramatic pop of color and texture to your space. Care: These plants love humidity, and so a bright kitchen or bathroom makes a happy home. Mist regularly, and give a weekly soak in the sink. Simple as that. Where to find it: Many nurseries sell staghorn ferns, albeit unmounted. If you’re up for a project, there are lots of tutorials available online for mounting your own staghorn fern. We’ve been mounting staghorn ferns for years, and have a few options available for US shipping in various sizes, so you can find something ideal for your tiny home. One option uses vintage burlap for a rustic feel, another option uses bright green sphagnum moss and cedar boards, and yet another option is the super-rad moosehorn fern. What is it? 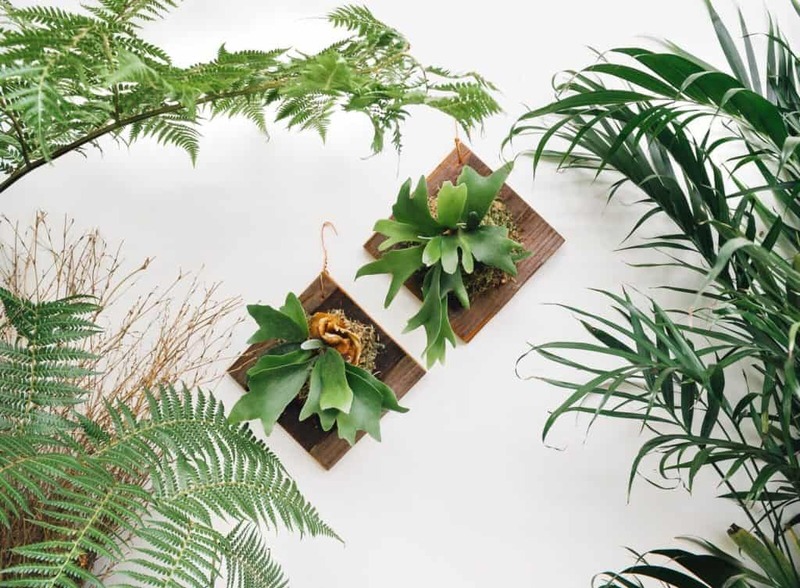 Love the look of mounted plants but don’t have the light for a staghorn fern? Look no further than mounted epiphytic jungle cacti. These plants grow in the canopies of tropical jungles, and though they’re technically cacti, they’re well suited to humidity and low-medium light. 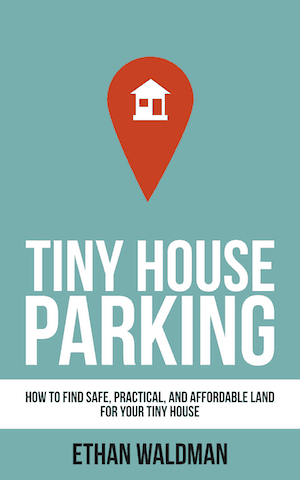 Why it’s perfect for a tiny house: At 4” x 6”, these mounted plants are truly tiny. Hang them anywhere for a low profile pop of green! Care: Place in low to bright, indirect light. Give them a soak every 2 weeks. 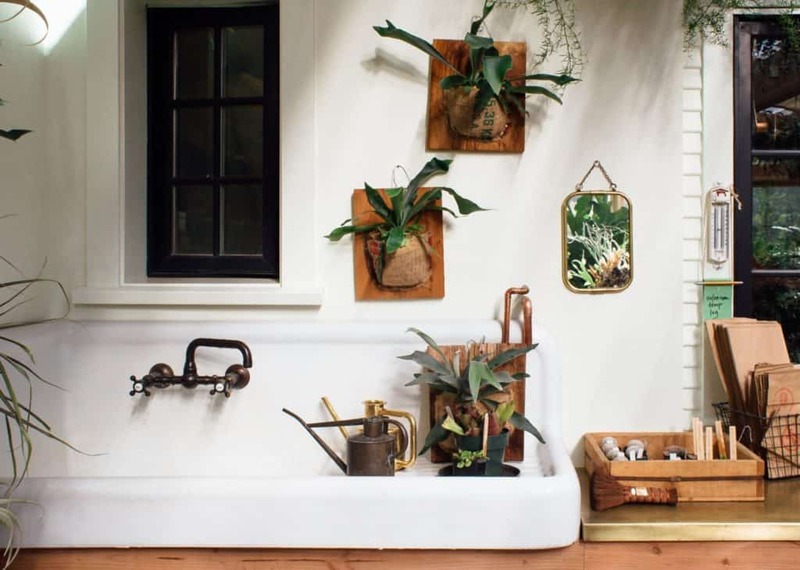 Where to find it: Like the staghorn ferns, if you mount your own, the possibilities are endless. These plants are a bit harder to find, however. Our jungle cactus cork mounts are available in two sizes and ship nationally. No Floor Space? No Wall Space? How about Air Space? What is it? Kokedama is a traditional bonsai discipline in which the roots of a plant are bound into a spherical form with moss and clay. The Japanese word, Kokedama, translates to “moss ball,” and the practice originated in Japan during the Edo Era, c.1600. The result is a self contained plant ball, which can hang easily from a hook on the ceiling, or sit on a shelf. 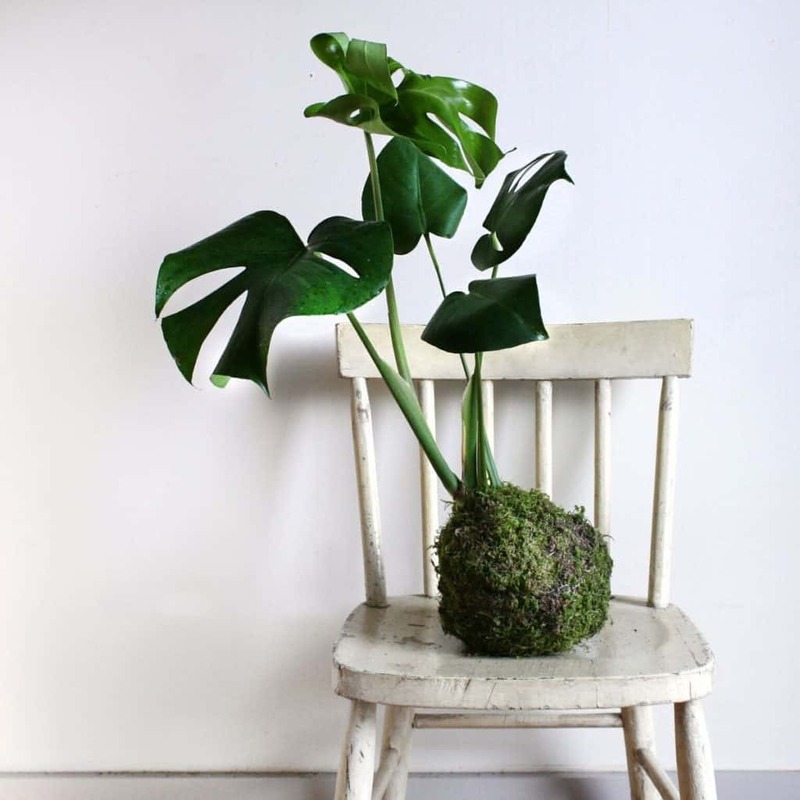 Why it’s perfect for a tiny house: Kokedama make a big impact but don’t require any floor, wall or shelf space. If you can put a hook in your ceiling, you can fit a kokedama in your tiny house. Many plants do well in kokedama, and so you are totally flexible to find one that fits for the light and style of your space. From cascading tropicals, to jungle cacti, this is a truly versatile solution. Where to find it: There are a lot of specialty materials such as akedama clay and spaghnum moss that go into making your own kokedama. Our kit includes everything needed for the DIYer, including the plant. Or, get a pre-made kokedama in a small or large size – we have a whole variety of options available. When a person has their heart set on a plant, it’s really, really hard for us to discourage them from bringing it into their lives. That said, there are a few plants that we just can’t imagine residing in a tiny house. Or, to put it another way, there are some plants that will take up as much space as a roommate would. Not sure about your tiny house, but we’re guessing you might not have space for an additional dweller! This plant is everybody’s darling in the design world, and with good reason. It has big, beautiful, dark green leaves that are shiny and sturdy. But, the Ficus lyrata, like it’s cousin the rubber tree (ficus elastica), is a tree. It gets big and tall. Plus, it’s a very sensitive plant; drafts, bumps and temperature fluctuations make it drop leaves. Great for your large, brightly lit office, but not a great choice for your tiny house. This cousin to the philodendrons mentioned above is different for a few important reasons. First, it grows in a clumping, rather than vining habit. This means that as it gets big, it’s going to demand more width, rather than height, and its leaves will not form long tendrils that you can hang where you please. Speaking of the leaves, they are HUGE. The plant, at maturity, can demand 6’ of width and height. Though they're commonly sold when they're very small, don’t be fooled: you don’t have the room for this one. The name is quite tempting, and it makes a fantastic houseplant. But despite its upright growth habit and deep green, paddle-like leaves, the Bird of Paradise is a hog for space, and the leaves can easily rip when the plant is bumped or jostled. 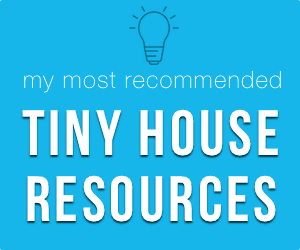 Though there is a smaller and a larger variety, we’d steer clear of this one in your tiny house. How do you incorporate plants into your tiny house lifestyle? We’d love to see pictures and hear what’s worked for you. Looking for more inspiration? 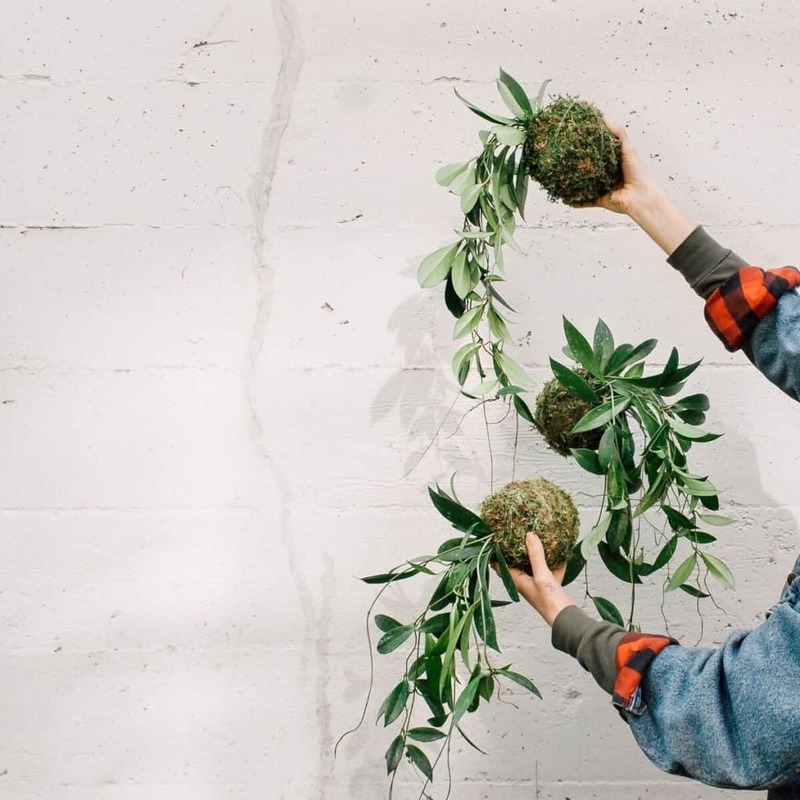 Be sure to follow Pistils on Instagram, and explore our #InteriorRewilding hashtag, where creatives from around the globe share images of their own indoor jungles and inspired spaces. Ready to get greening? 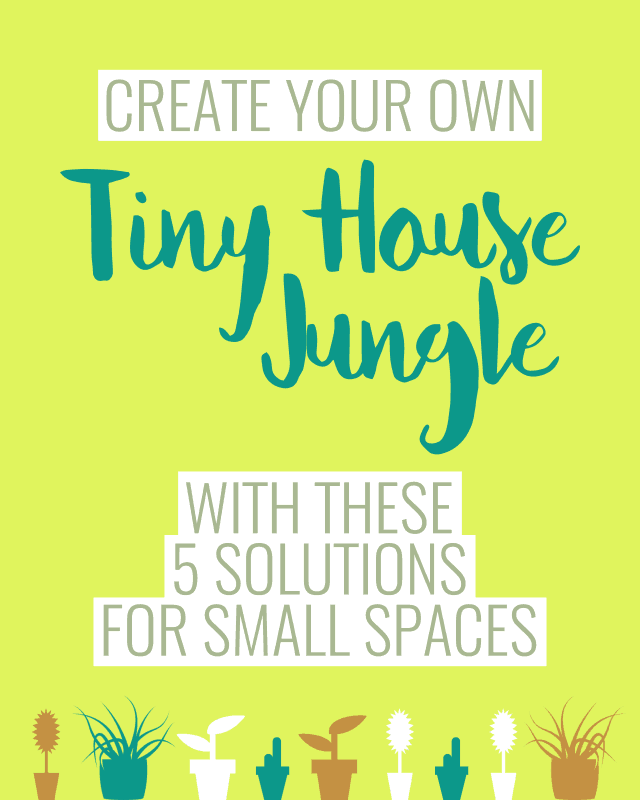 Check out our web shop and get your tiny house jungle growing today!